I submitted my first piece of fiction for publication! Here’s hoping for an acceptance letter. Here is a brief excerpt. The blanched waste below stretched out in every direction, a lifeless maw threatening to consume lands beyond. Dusty, beige hills gave way to dead lakes and defiant mesas reached into the colorless sky. It was home. But when she looked down –her vision unusually sharp in these moments– she saw the desert wasn’t the lifeless expanse it had presented itself as before. A thick stubble of banana yucca shrubs adorned the undulating hills, their stiff, dark-green stocks stabbing the air. Desert clickers perched on creosote branches thrummed thick hind legs against their abdomens, the clicks and chatters building into a crescendo congruous with day’s heat. Even along the washes and salt flats, a rattlesnake zagged between the alkali siphoning allscale bushes. The desert teemed with life. She could see it, smell it in the pockets of warming air that lifted her further away from the ground. Below, in the distance, a long cloud of dust chased a shadow of unnatural angles. She recognized the animals pulling at the dark shape, but the box sliding along the ground felt familiar only at the edges of her mind, like a dream washed away in the light of consciousness. With subtle changes in the angles of her body, she dove down and closer, then up again catching another lift of warm air, then down again as if riding the waves of an invisible ocean. Recently, one of the founders of BikeMHT.com asked me to whip up a logo for them. I put together this video to garner attention for Games By Play Date and our Patreon campaign, a site similar to Kickstarter but dedicated to creatives getting paid more consistently for their extracurricular activities. I think it came out pretty okay. I designed a game! 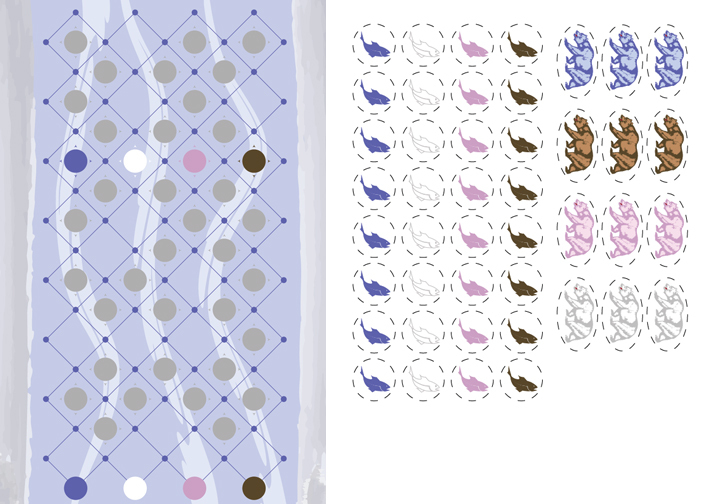 During a “25 Games in 25 Days” challenge that we imposed upon ourselves at Games By Play Date, LLC, I rapidly developed Salmon Creek, a game about bears traversing a creek to eat salmon. It is now totally available as a print-and-play. Take a look! Update: Our Kickstarter was a HUGE success, securing double the amount of money we had intended. We love you all! Today, Games By Playdate’s Kickstarter for “Slash: Romance Without Boundaries” has gone live! We hope to crowd fund a print run of our game about fan fiction. Above is the video I put together for the project. Hold onto your butts. High school teacher, writer and dear friendo, RWW Greene, wanted to help his students, and students around the world, understand the critical role writing plays in EVERYTHING great. Not just scribbling books or research papers. Together we founded WhyWriteProject.org. The idea was to collect videos from various accomplished people, from all walks of life, discussing how writing impacts their daily lives. Ideally, we hope that people will download the intro and outro files posted on the site and make their own to send to us. In the video above, I don my game designer cap and discuss importance of writing in game creation. Kids love games, right? 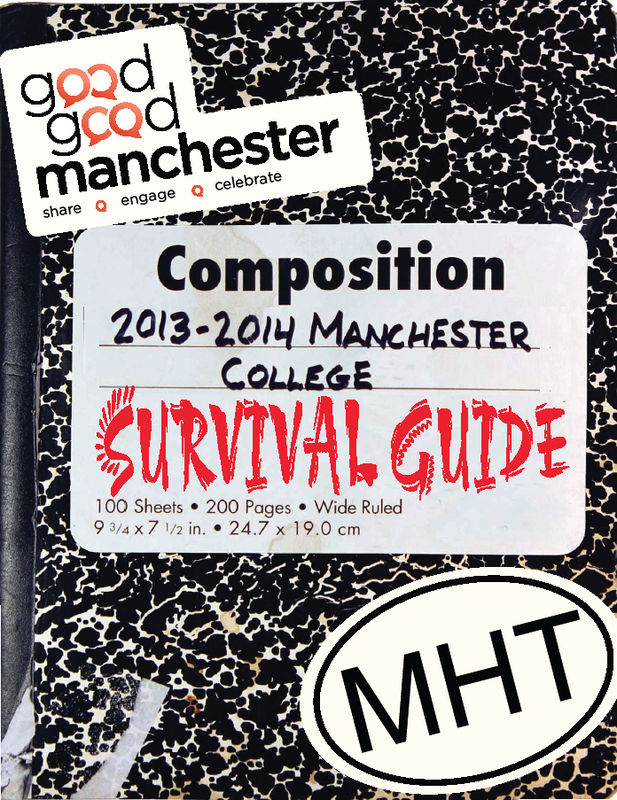 Again, the good people of my good good Manchester employed my services to create a local college survival guide highlighting many of Manchester’s points of interest. You can see the entire thing here.